Real Madrid are through to the Champions League final after showing an incredible display of heart and sacrifice. The back-to-back European champions will defend their throne later this month, after a 2-2 draw tonight against Bayern Munich and a 4-3 on aggregate. 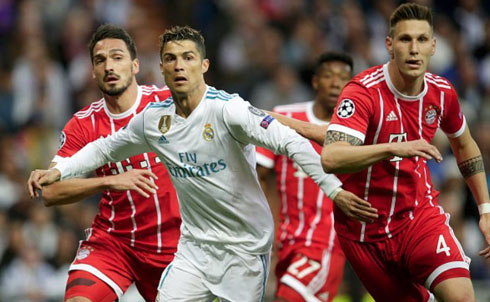 Real Madrid and Bayern Munich drew 2-2 tonight at the Santiago Bernabéu, a result that ultimately allowed the Merengues to qualify to UEFA Champions League final, thanks to a favorable 4-3 result on aggregate. Just like in the first leg, Zinedine Zidane's men saw the German side dominating most aspects of the game, but thanks to a great spirit of sacrifice, combined with some luck and a great lack of efficiency from Bayern, the reigning European champions got the result they needed and will be defending their title in Kiev, on May 26. 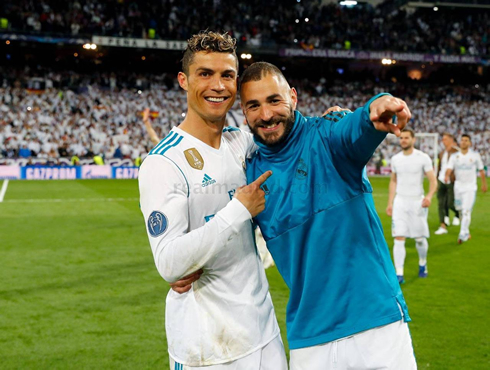 Cristiano Ronaldo didn't score tonight, but Karim Benzema answered his critics with a double and a great performance overall. Madrid will now have to wait for tomorrow to know who will be their opponent in the final: AS Roma or Liverpool. Well, you would certainly be forgiven for losing a few pounds during this match. 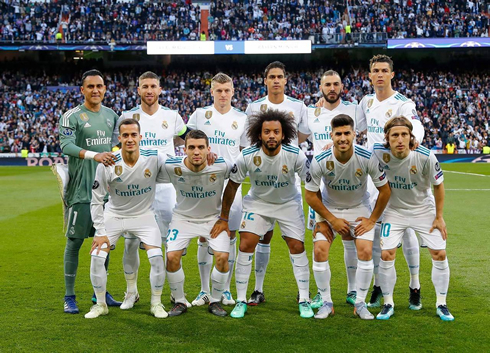 It was a terrifying game for supporters as a nervy night in the Bernabéu eventually ended on a high, with Real Madrid securing a trip to their 3rd straight Champions League final and their 4th final in five years. Zidane opted to leave Casemiro out letting Kovacic, Kroos and Modric run the show in midfield. The Croatian was again the best player on the pitch, and he's made a habit of this in the latter stages of this competition in recent years. Kroos, however, did not have a good game and was found wanting a few times when under pressure. That said, the ability of this team to time and time again no matter what they are up against to keep fighting, keep going for it and never giving up. The way we hung on tonight was drastically different from anything we've seen in recent years, as we were under fire again and again and again. The night did not start well, however, as Joshua Kimmich again scored first for Bayern, giving them a 1-0 lead in the third minute. It was a horrific start for Madrid, reminiscent of the Juventus tie from the leg before. Bayern pushed on and on and on, almost scoring on multiple occasions, but Keylor Navas stood strong making a series of crucial saves in the last 20 minutes to keep the German giants at bay. Real Madrid will have to play better in the final, but it's great to know that we are actually here. Cristiano Ronaldo next game for Real Madrid is on May 6 of 2018 against Barcelona. You can watch Juventus live stream, Barcelona vs Real Madrid, Amiens vs PSG, AS Roma vs Liverpool, Atletico Madrid vs Arsenal, and Red Bull Salzburg vs Marseille, all matches provided from our live sports and football game pages.